It’s a saying that has been used to describe the New York Jets 2014 season almost as much as “interception by Geno Smith”. That phrase is “the Jets have hit rock bottom”. Here they are again! After being embarrassed for the second time this season by the Buffalo Bills in a 38-3 drubbing at Ford Field in Detroit on Monday Night Football, the 2-9 Jets have officially hit rock bottom. They’ve lost their best player to injury in Muhammad Wilkerson and had to turn from struggling veteran starter Michael Vick back to the incumbent Geno Smith. With five games left in this regrettable and lost season, the Jets should just let Geno Smith start the final games. It’s pretty much a foregone conclusion that Rex Ryan will be gone after the season and the organization is due for a major overhaul. With these last five games basically being a tryout for next years squad it just makes sense to start Smith. After sitting on the bench for a few weeks and realizing that his time with the Jets is now in the eleventh hour, Smith needs to play well over the final five games to prove that he should be in the mix for the starting job in 2015. With the Jets seemingly on their way to a top five pick in the 2015 NFL Draft, if Smith wants to have any shot in New York next season he needs to finish the season with an exclamation point rather then a question mark. 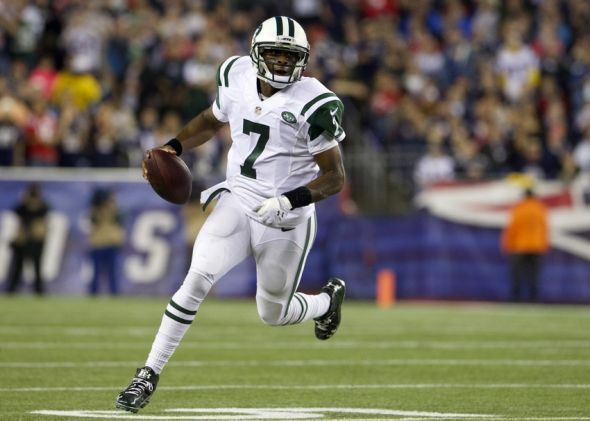 As the Jets starter smith has guided New York to a 9-15 record while throwing 19 touchdowns to 31 interceptions. Not exactly the numbers a team wants from their so-called franchise quarterback. If Smith wants any shot with the Jets, or in the NFL in the long-run, he needs to go from game manager to playmaker. If he can throw and run for touchdowns while eliminating the costly mistakes that he has become well-known for, he might have a shot in the NFL. Don’t get me wrong, Smith has great physical tools including a plus arm and great feet, but it’s the mental side of the game that worries me. This has been well documented this season whether he’s late for a meeting, or pouting on the sidelines, Geno Smith needs to prove over the final five games that he is a leader and takes being the general of the offense seriously. It’s a long shot to think that the Jets won’t address the quarterback position this offseason, but in the present they need to evaluate Smith. While many of the offensive woes can be placed on Smith, people must realize that the entire roster is a mess. Outside of the lack of weapons on the offensive side of the ball, the Jets offensive line outside of Pro Bowl center Nick Mangold has been a disaster. Then of course is the defense which has cornerbacks that probably shouldn’t be on an NFL roster let alone starting for the team and New York’s first round pick Calvin Pryor who has played so bad that the team has benched him. The Jets are a disaster. There’s no way around that. However, with the plethora of problems on both sides of the ball and in the front office, ifGeno Smith can show some signs at life, it could give the organization a year to build up the rest of the roster around Smith and then make a decision on what to do at quarterback next year. 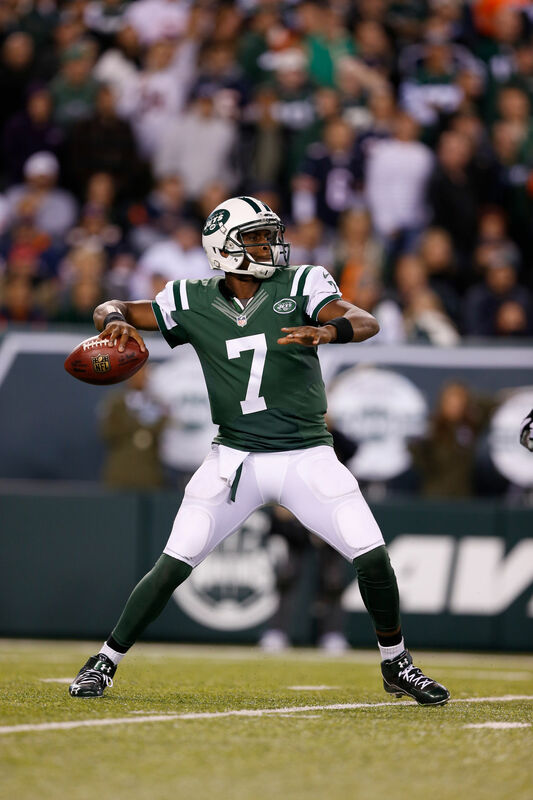 Is Geno Smith’s replacement in the 2015 NFL Draft? 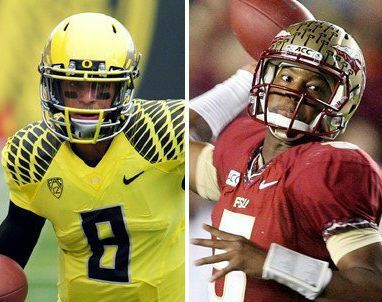 Could Mariota or Winston be the next QB for the Jets? However, if Smith plays like he has throughout his first 24 starts, then the Jets scouts will once again be looking for a quarterback at the combine for the third time in six years. Do I hear the Marcus Mariota and Jameis Winston Jets rumors off in the distance? Next Does the Big 12 Have a Big Problem?